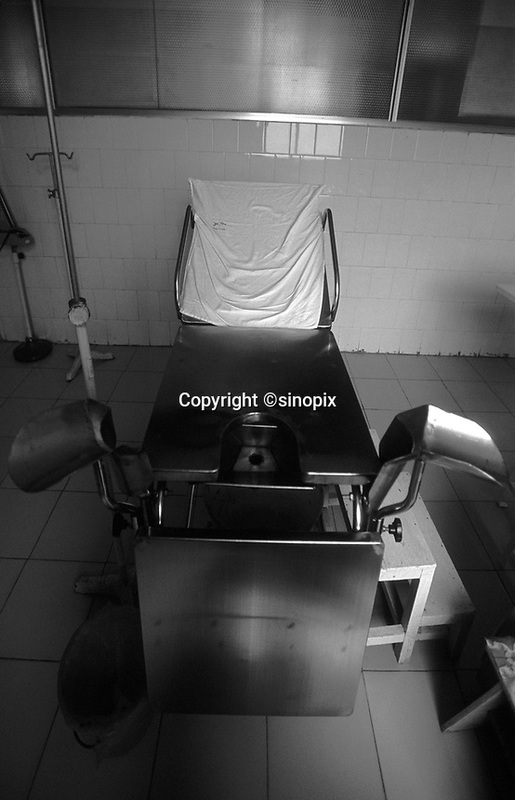 An abortion room in countryside clinic, China. The room and chair is used to give women abortions. It is estimated that 50% of pregnancies in China are aborted resulting in 400 million fewer Chinese since the controversial birth policy was started 30 years ago. Many abortions are selective and have resulted in a gender gap.